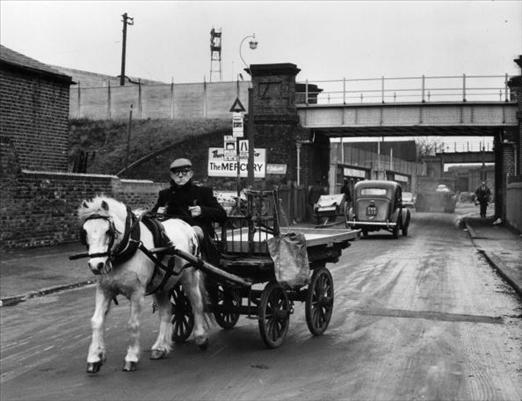 I remember in the early 1970's when I lived in Millbrook, we used to have the Rag and Bone man come down our street (it was Stamford Street near the Cricket Club) which was an unadopted road - with his horse and cart shouting 'RagBone'. We had two big stone steps which led up to our front door and I was given the task of 'Donkey Stoning' these steps. Kids used to give old stuff to the 'RagBone' man and in exchange he gave us kids balloons or maybe sweets - but I got Donkey Stones! I had to dip these stones in water and scrub the front door steps with the stones, this turned the steps colour from a boring grey to a light yellow mustard colour - I never did understand why or what the point of doing this was, except for the fact that everyone else did it! Nowadays, the modern 'RagBone' man takes away scrap metal which in these times of austerity, is worth a lot of money. 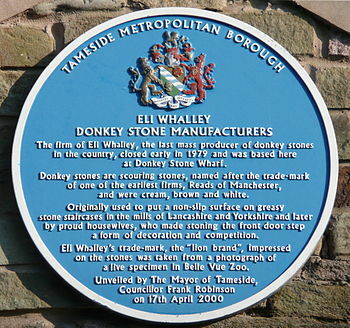 I believe you can still buy Donkey Stones in Ashton Market. I like to re-visit happy times and share. This is going be the my place to record them for posterity!